Edit Alberta J. Ellybeans, Win an Aviary Gift Pack! The contest will end on Monday, May 9th, at 5PM EST. The winner will be chosen based on how creative or jaw-dropping their creation is, and will receive and Aviary t-shirt + more!!! UPDATE 5/10/2011 - Winner winner, chicken dinner! Congrats to Ozzybear for giving Alberta J Ellybeans one sweet habitat! Documentation added for Raven, Peacock, Talon and Toucan! mpeutz, recently let me know that he and some other aviators had just completed user-generated comprehensive documentation for 4 of the 5 currently released Aviary apps. This is an awesome example of why we love the Aviary community so much! or under the Help > Documentation menu when logged into Aviary. From this page you can choose which tool you want more information on. We'll also connect this directly to the applications for a future release to help you find answers as you are working. This is another sample of the artwork from our upcoming ad campaign, by Meowza. This is for Toucan, our color swatch generator. 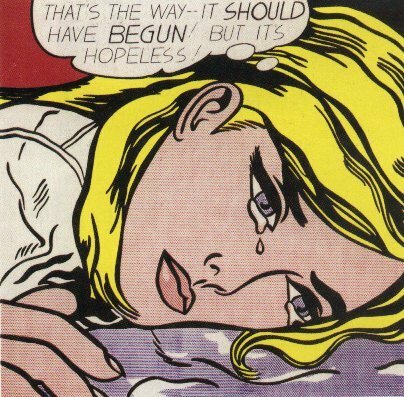 We are basing this particular piece on Roy Lichtenstein's famous modern art style, seen here in Hopeless. We're also tweaking those famous Fruit Loops commercials in the process. Lichtenstein was famous for borrowing pop culture and comic books (bad) art styles and making it into something good, primarily through blowing it up. Before deciding to go with Lichtenstein for Toucan's campaign, we experimented with an impressionism style, specifically that of Claude Monet. Unfortunately, we realized that while this work was stunning and will look great on canvas it didn't really work as well as part of an advertisement. Both Toucan art pieces will be available for sale in our market as a poster, with ad copy and without.